In response to a question about financial support, Dr. Schupak said that the official Chabad Jewish community of Dnipropetrovsk (the Philanthropic Fund of the Dnipropetrovsk Jewish Community <Благотворительный фонд Днепропет-ровского еврейского общины>) provides significant operational support, but that Tkumah always is seeking grants for specific projects and programs. The Institute for Holocaust studies has received funds from the Conference on Jewish Material Claims against Germany, the American Jewish Joint Distribution Committee, the Dutch Jewish Humanitarian Fund, International Holocaust Remembrance Alliance (Berlin), several additional German organizations, Ukrainian Jewish Encounter (Canada), Yad Vashem, and other groups. The Museum itself is supported by Chabad in Dnipropetrovsk, Ihor Kolomoisky, the Rothschild Foundation (Hanadiv) Europe, and specific groups sponsoring particular exhibits. Regarding contemporary antisemitism in Ukraine, Dr. Schupak stated that known antisemites participated in the Maidan demonstrations, but they did not exhibit antisemitic behavior during the protests. Equally, he said, although public opinion is strongly opposed to the current Russian government, it is not Russophobic in nature. This absence of bigotry and intolerance is evidence of a new direction for Ukraine, Dr. Schupak claimed. In contrast, Dr. Schupak continued, Russian fascists had attacked both Jews and Tatars in Crimea. Most of the fascists, he said, were Kuban Cossacks, who had been joined by ordinary Russian criminals. 17. The Rosalind Gurwin Jewish Community Center of Dnipropetrovsk occupies one floor in a small office building attached to the Menorah Center. Liana Basina, its director, explained that the JCC, which is managed by the American Jewish Joint Distribution Committee, currently is in its fifteenth year of operation in the city and is organized in two functional roles: Jewish renewal and a Jewish family service. Ms. Basina described the JCC Jewish renewal work as offering activities for Jews of all ages, both as individuals and as family units. It includes a small preschool, Mazal Tov, that focuses on at-risk children, attempting to prepare them for successful elementary school experiences. Beyachad (Together) is a four-hour Sunday school enrolling youngsters between the ages of five and 13. Divided into three groups according to age, Beyachad pupils participate in various activities, including Hebrew and English classes, under the direction of madrichim, teen-age leaders prepared by the JCC. 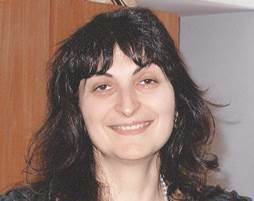 The madrichim group includes 10 active leaders and another 20 in training, said Ms. Basina. Liana Basina directs a busy Jewish community center program in very limited space. The JCC also offers music programs for all ages (including a children's klezmer group), drama groups for children and teens, an art studio that welcomes all age groups, chess lessons with a local grandmaster, and cooking classes for children. Through celebration of various Jewish holidays, the JCC also engages in informal Jewish education. A recent Purim event drew 400 participants, Ms. Basina said. Most of these activities require participation fees, Ms. Basina responded to a question. People value the program more when they pay for it, she observed. However, the JCC endeavors to accommodate poor families and will waive or adjust fees for certain programs when the program is appropriate for the participant and the need is real. In addition to local operations, the JCC also organizes a 10- to 12-day family summer camp that sometimes draws as many as 300 people. Some activities are geared toward children, some toward parents, and some toward families. Some program components generate follow-up activity throughout the year so that families remain engaged in the Jewish community. The JCC operates a children's summer camp, enrolling about 200 youngsters from the region for 18 to 20 days at a site in Zaporizhzhia. Currently in its third year, the summer camp charges a substantial fee to families and also has drawn financial support from the Genesis Philanthropy Group (Moscow) and World Jewish Relief (London). have relaxed somewhat since the protests in Kyiv have tapered down, but attendance at JCC activities has not recovered completely, she noted. Second, continued Ms. Basina, in common with many other Jewish organizations, the JCC leased a resort in Crimea for its family summer camp; she is assuming that Crimea is now inaccessible. Perhaps they will be able to find a suitable site near Odesa or somewhere in western Ukraine, but such decisions are made by people at higher levels and she does not know if the family camp will operate in 2014. It is very difficult to plan when the situation is so uncertain, said Ms. Basina, and she does not know what to say when parents ask questions. 18. Project Kesher is a Jewish women's organization that promotes Jewish identity-building, leadership development, women's health, and general non-partisan activism in affiliated groups throughout Russia, Ukraine, Belarus, Moldova, and Georgia. One of its leaders in Dnipropetrovsk is Ella Sidorenko, a longtime activist who stated that it has 65 members in the city. The largest of three sub-groups, comprising approximately 25 women, meets at the Israel Cultural Center, said Ms. Sidorenko. It focuses on women's legal rights and economic issues, particularly home budgeting; some women also have enrolled in ORT computer courses. 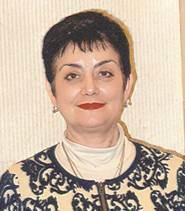 A second group, perhaps 20 women in all, concentrates on Jewish religious tradition, Ms. Sidorenko stated. The third group, numbering about 15 women, has the most difficult agenda of all, said Ms. Sidorenko. Comprised of mothers and some grandmothers of children at the Beit Chana Special Needs Educational Resource Center, this cluster of women is concerned with health and nutrition (for their children and for themselves), access to physicians, and Jewish tradition. Ms. Sidorenko observed that the demands of raising special needs children - often as single parents - frequently leaves these women physically and emotionally exhausted, financially wanting, and socially isolated. Project Kesher attempts to add some education, networking opportunities, companionship, and happiness to their lives. Ella Sidorenko, right, has been active in Project Kesher since its inception. Additionally, Ms. Sidorenko continued, Project Kesher works with some younger women - and a few young couples - in economic and financial literacy, legal rights, and family issues. It cooperates with the Jewish Women's Microenterprise Loan Fund to help women start their own businesses. The organization sponsors a women's seder that emphasizes the role of women in Jewish history. Project Kesher also is active in interethnic activities, meeting with other groups to learn about their traditions and discuss issues of common interest. In response to a question, Ms. Sidorenko said that Project Kesher has no formal office premises in the city. All of its data is on her home computer, and they use meeting space made available to it by other Jewish organizations. Kuba is an area in the Caucasus region, northwest of Baku. However, some active Kuban Cossacks reside outside this area. Military formations of Kuban Cossacks have participated in recent Russia-instigated conflicts in former Russian imperial and Soviet territories. The JCC moved into newer, more spacious premises in the Menorah Center in mid-summer. JCC children's summer camps in the post-Soviet states are somewhat controversial because they "compete" with Jewish Agency summer camps. The longer-established JAFI camps have been designated as recipients of North American Jewish communal funding. See pages 39-40 for information about the JDC Jewish family service operation in Dnipropetrovsk. See pages 46-47 for more information about the Jewish Women's Microenterprise Loan Fund.